Do you want to access Twitter from your iPhone and iPad with ease? 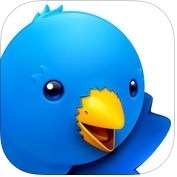 Are you looking for the best Twitter apps for your iOS devices? Are you not satisfied with the official Twitter app for iPhone / iPad and looking for a better professional grade Twitter app? If YES, you're at the right place. 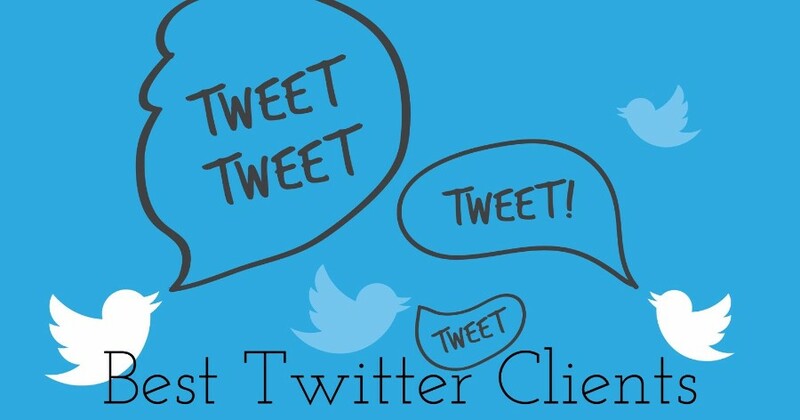 You can use one of the best and useful Twitter Client Apps from 8 best twitter client apps. They have lots of different amazing layouts and rich features you cannot find in the official Twitter app. With the help of these best twitter client apps, you can easily and quickly connect with the whole world. Happy Tweeting. 1. 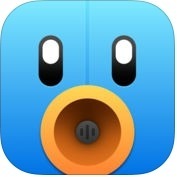 Tweetbot 4 for Twitter ( iPhone + iPad + Apple Watch ) :- Tweetbot 4 is incredible, powerful and full-featured twitter client apps for iPhone, iPad and Apple Watch. 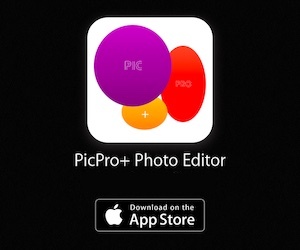 It is also available in the Mac App Store. This third-party twitter client app has lots of amazing and user-friendly features such as add multiple accounts, push notifications, customizable navigation, powerful mute filters, timeline sync services, smart gestures to access quickly tweet details, reply or retweet and more. You can also save and edit tweet drafts on your iPhone and iPad. 2. 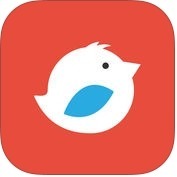 Tweetlogix for Twitter ( iPhone + iPad ) :- Tweetlogix is one of the best and most powerful and beautiful twitter client apps for iPhone and iPad. This twitter client app has amazing and unique features such as powerful filtering lets you instantly mute users, customizable themes, support 3D touch, you can view Twitter animated GIFs & videos, you can tweet to view conversation, you can upload videos to Twitter or Mobypicture, Twitter lists, unread counters and synchronization, powerful search, support for multiple Twitter accounts and multi-account auto refresh and more. You can also bookmarks and web browsing on your iPhone and iPad. Tweetlogix app is multitasking on iPad, lets you seamlessly transition between Slide Over, split View and full screen modes. 3. 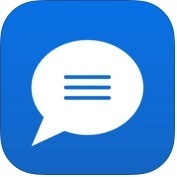 Aplos for Twitter ( iPhone + iPad ) :- If you want to download an advanced, well-designed twitter client app for your iPhone or iPad, you can use Aplos app. This third-party twitter client app lets you customize the entire layout of the tweets on your TL. With the help of this twitter client app, you can view your home timeline and display new tweets promptly through streaming support, you can display multiple accounts together in a single timeline and you can also change design colors, with both bright and dark background colors. 4. 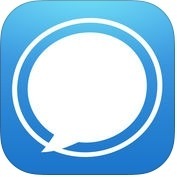 Tweetings for Twitter (iPhone edition) ( iPhone + Apple Watch) :- If you want to folllow your friends tweets and share your photos & videos, view conversation and, who's nearby, you can use Tweetings for Twittter on your iPhone, iPad and Apple Watch. This third-party twitter client app has lots of fantastic and useful features such as manage unread tweets, pulldown to refresh timelines, automatic switching to dark or dusk themes based on time of day, customisable retweet format including new style twitter retweet, display any user's tweets, mentions and likes, in built map location viewing, block or unblock users and many more. With Tweetings, you can also edit your tweets quickly & easily and, you can keep your location and read tweets in sync across multiple devices and platforms. 5. Twitterrific 5 for Twitter ( iPhone + iPad + iMessage + Apple Watch ) :- With the help of Twitterrific 5 for Twitter app, you can browse twitter free from the clutter of promoted tweets, you can delete or edit your tweets quickly and easily, you can track your twitter stats in real-time, you can get info on new follolwers, follow them back or block them and you can do more. Twitterffific 5 has lots of amazing and unique features such as media-centric timeline that puts images front & center, automatic switch to dark theme at night, support 3D Touch and list management, tweet translation, customize fonts, avatar, image and text size, native push notifications, receive notifications for replies, mentions and more. 6. 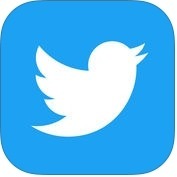 Twitter ( iPhone + iPad + Apple Watch ) :- This is the most popular and the official app of Twitter.com , you can download this app for free on your iPhone, iPad and Apple Watch. If you want to know what's happening in the world, you can use Twitter app for your iOS and watchOS devices. With the help of this twitter client app, you can get the full story as it unfolds, with all the live commentary, you can post photos with amazing stickers, GIF's videos and even stream live video and, you can also get everything in one place such as breaking news, entertainment, sports and political and other events. 7. Echofon for Twitter ( iPhone + iPad ) :- It is one of the fantastic, fastest and beautiful designed Twitter client apps for iPhone and iPad. Echofon for Twitter app has powerful and user-interface features such as real-time push notifications, threaded conversation mode, mute select users, delivered instantly and natively to all your iOS devices, receive notifications, set quiet mode for times you do not want to receive notifications, rich media photo & video services, images are previewed within your Twitter timeline and, more. With the help of Echofon for Twitter app, you can access all your Twitter accounts simultaneously, you can open full-size images instantly, and you can also search nearby tweets with maps integration. 8. 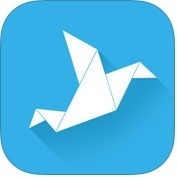 TheWorld for Twitter ( iPhone + iPad ) :- TheWorld for Twitter is amazing, user-interface and advanced features third-party twitter client app for iPhone and iPad. This twitter app has lots of unique features such as real-time push notification, multi accounts, wonderful animations, easy to use and, more. 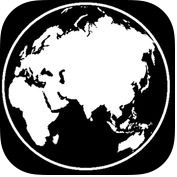 With TheWorld app, you can swipe left or right to access the next tab as you turn a terrestrial globe.